It’s time to end the Korean War! Charissa Zehr is the Legislative Associate for International Affairs in the MCC Washington Office. 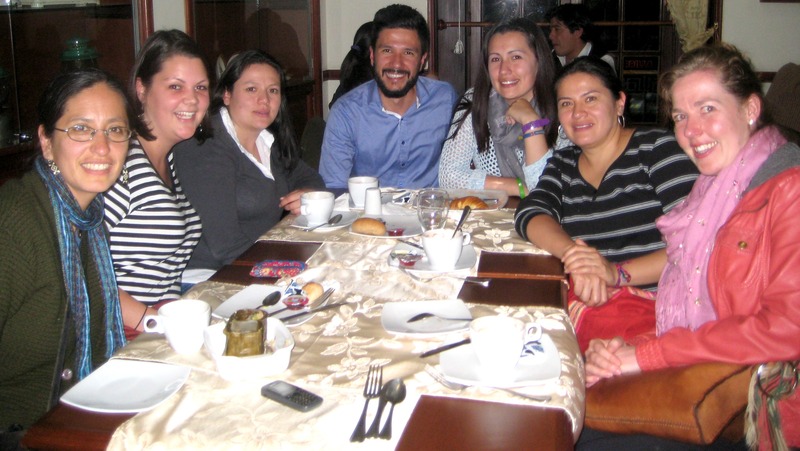 She recently spent several weeks in Colombia meeting with MCC’s partners there. “It looks like all you did was eat,” joked my mom as we reflected on the pictures I had been posting on Facebook of my recent trip to Colombia. And it is not untrue. There were days that revolved around rice and soup…and then some more rice. But this is one of my favorite parts of traveling. I ask lots of questions, write down the names of new foods (for captioning and blogging purposes later) and my cardinal rule: try everything they put in front of me. Perhaps it sounds like a simplistic way to learn about a new place, but as I have found time and again in my travels, many a truth is spoken through food. Food is a place we find comfort. When people are relaxed and at ease, sharing food around a table can offer a starting point for engaging and poignant conversations. In some moments we were analyzing the economic impact of climate change on people’s livelihoods; at other moments we were laughing about an improvised carry-out box made from a banana leaf (also used as a plate). Food is a way to show hospitality and welcome someone into your circle. When people want to show you how pleased they are that you came to visit, they often offer food. 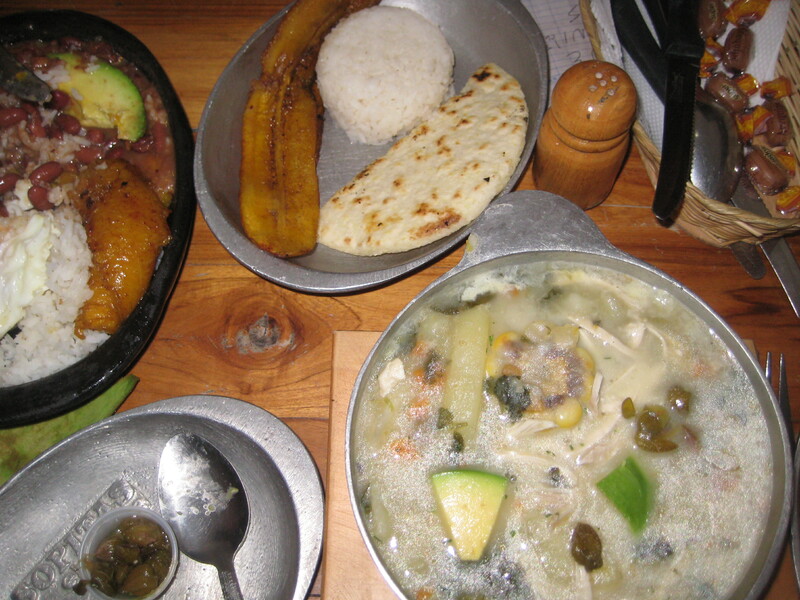 In many parts of Colombia I was shown much kindness and generosity shown through meals. And in many parts of the world, food is truly a love language. Acceptance of proffered delicacies is equal to accepting friendship and community. The opposite can also be a personal affront. 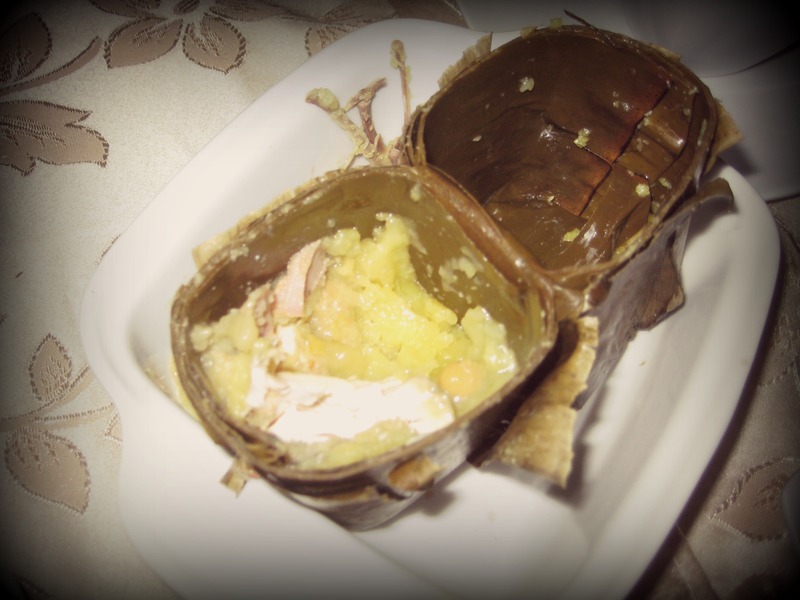 When asked what I thought of a traditional tamale on a scale of one to ten, my flippant response of “7” was met with a sharp gasp and (I’m pretty certain) some actual offense. How could that not be the best thing I had ever eaten in my life? 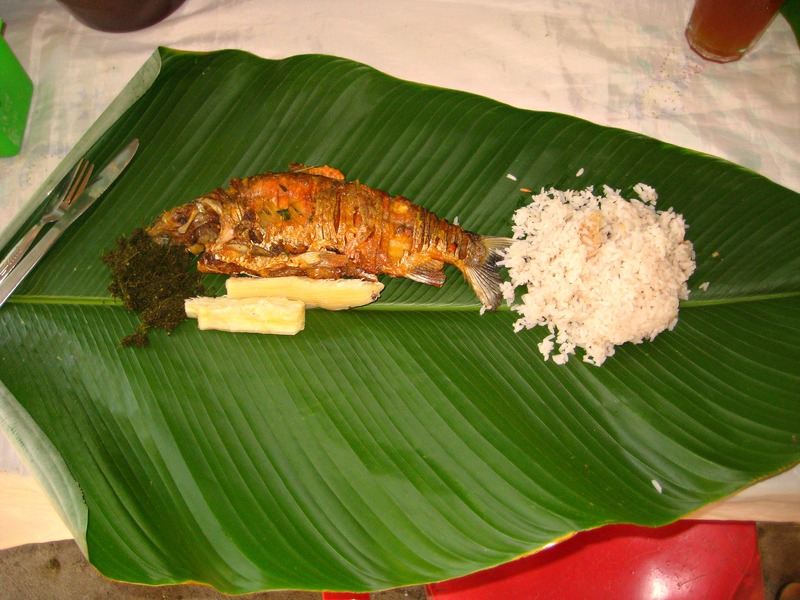 Food can be nationally loved and ultra-specific to a locality. Just as Colombia’s population is diverse and distinguished regionally by topography and climate, so are its gastronomic delights. In each place I went I was able to try new and different things. 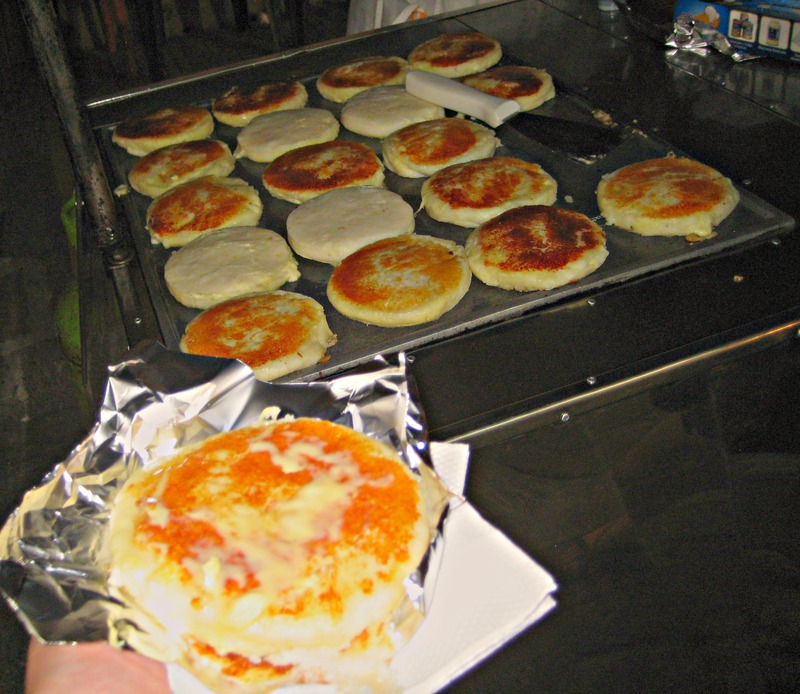 I ate five different arepas but am told there are at least nine more that I have to try next time! It has proved to be a great technique for learning the geography of a country as large as Colombia. 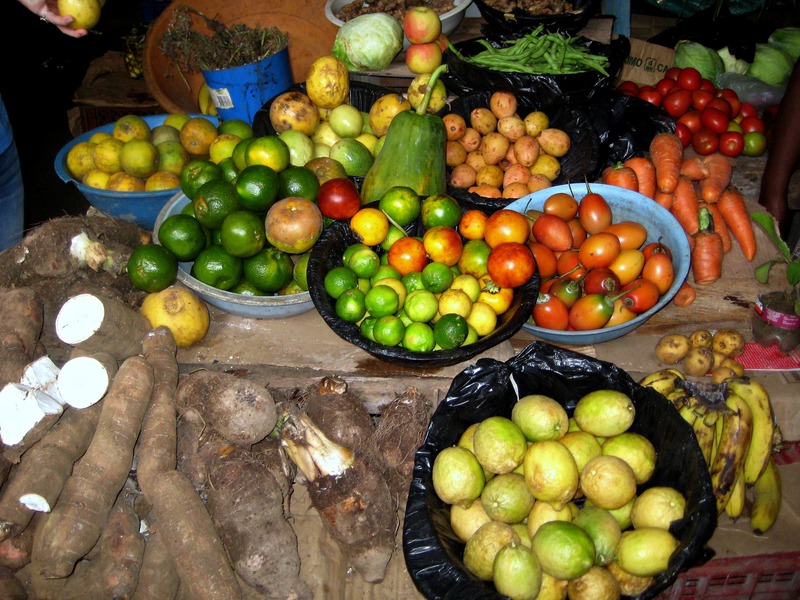 As I reflect on my time spent in Colombia and the ways that I experienced Colombia through its food, I can see how it also taught me about Colombian people. I heard many stories of displacement; people forced to leave their places of comfort and flee for their lives. I heard other stories of deeply entrenched conflict and yet surprising ways that reconciliation has sprouted up. I visited many different communities in rainy, tropical climates, chilly mountainous climates, and hot coastal climates. While the people are as diverse as the climate zones, they share a passion for their food, their family and their country. The Colombians I have interacted with long for their country to be known for something other than eternal conflict, displacement and drug-trafficking. They want to share so much more than what the political parties and media outlets have exported as the “real Colombia” for too long. As people wait anxiously for the eventual signing of a peace accord and pray for its arrival, there is an acknowledgement that the days beyond the accord will not be easy. It is Colombia’s underlying cultural values that will repair societal fabric and shape the reconciliation process of the years to come. Welcoming people around the table for conversations about past hurts, healing wounds, and hope for the future will be a necessary kind of bread to break together. This piece was originally published on MCC’s Latin America Advocacy Blog.